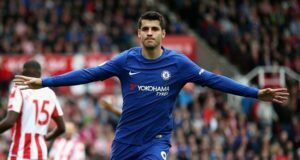 Chelsea were represented well in the PFA Premier League team of the year, with no less than three players being selected. Here is a run down of the trio’s great seasons. Eden Hazard has really kicked on this season and has become the sides most consistent attacking threat and the stats justify his selection as the Young Player of the Year. 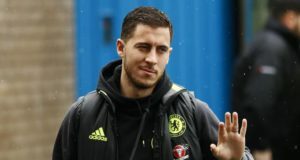 Hazard has scored 20% of Chelsea’s goals this season, with only Yaya Toure scoring more goals from midfield this season. Of those who have started 20 or more Premier League games this season, only Luis Suarez and Steven Gerrard have a higher rating than Hazard, according to Who Scored. Chelsea have kept the most Premier League clean sheets this season, with Petr Cech playing in 16 of the those 17 (with the exception of Chelsea’s weekend win at Liverpool). This season Cech broke Chelsea’s record clean sheet holders, overtaking Peter Bonetti’s 208 in their 2-0 away with at Hull City early in 2014. The England defender has had a superb season for Chelsea, helping them keep the most clean sheets in the Premier League this season. Cahill’s centre half partnership with John Terry has laid the foundation for the Blues, with Chelsea conceding fewer Premier League goals than any other side. 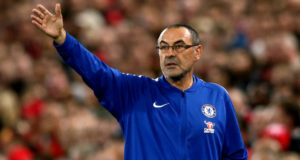 Since the turn of the year, Chelsea’s defending has been superb, conceding twice or more in a league game just once since the 3-2 loss away to Stoke City. From a rotation player under Rafael Bentiez, Terry has proved there is life in the Chelsea captain, and his absence from the team of the year was a real shock. Terry has been the epitome of a big game player this season, with the Blues conceding just five goals in 12 games against the top seven sides this season, with the captain featuring in 11 of those. He looks set to miss out on the World Cup 2014, according to the latest world cup odds from william hill. The full PFA Premier League team of the year: Petr Cech, Luke Shaw, Vincent Kompany, Gary Cahill, Seamus Coleman, Eden Hazard, Yaya Touré, Steven Gerrard, Adam Lallana, Luis Suarez, Daniel Sturridge.